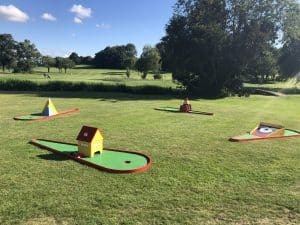 The classic, fun golf game is ideal for anything from a handful of people up to hundreds any event, and is guaranteed to ensure everyone enjoys the day. 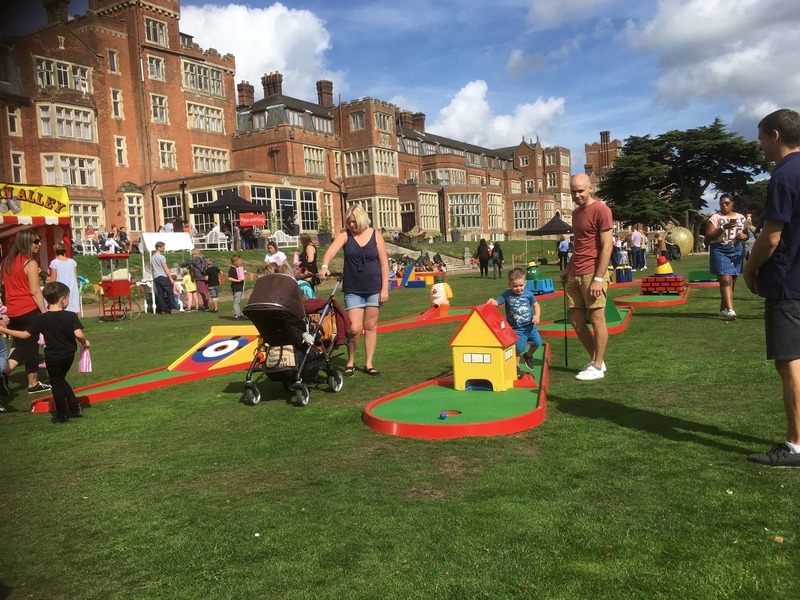 Each hole is approximately 4m in length, and up to 1.2m in width. 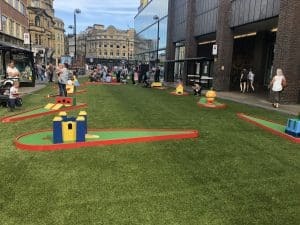 Our Crazy Golf course comes in a 3 hole or 9 hole package, depending on the space you have, and can be used indoors or outdoors. 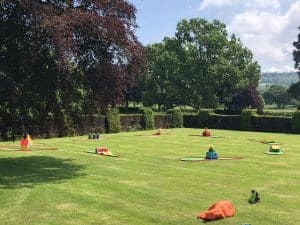 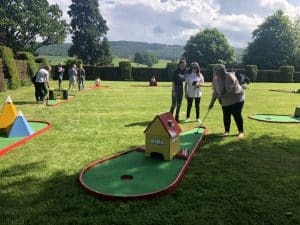 The course can be positioned around a garden in a horseshoe shape, allowing for an atmosphere to build in the middle as everyone can see what is going on and who is participating. 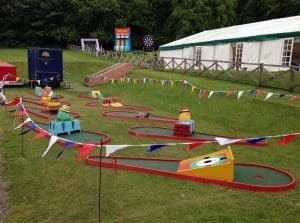 If you are looking for a versatile, fun game that can be used both indoors and out for any type of Party, Wedding, Exhibitions and Corporate Entertainment, then Crazy Golf will score a hole in one for you. 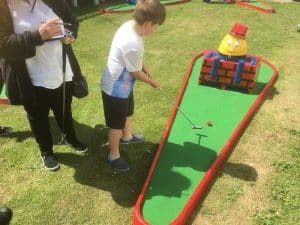 Crazy Golf is particularly brilliant for Fund Raising Events as it allows lots of people to play at one time. 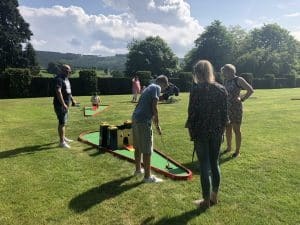 It is an increasingly popular activity at Summer Weddings, for that afternoon period before or after the Wedding Breakfast.